JOIN NOW to help preserve our heritage and chart a brighter future for Linden. Although I am not a resident of Linden, or even a Texan, with my recent visits to this little town and meeting so many great folks and creating everlasting friendships, I am more than happy to contribute whatever is possible for me and to help “spread the word” to others and encourage assistance. What a great little place! Hometown of Don Henley and many others who still make it home. 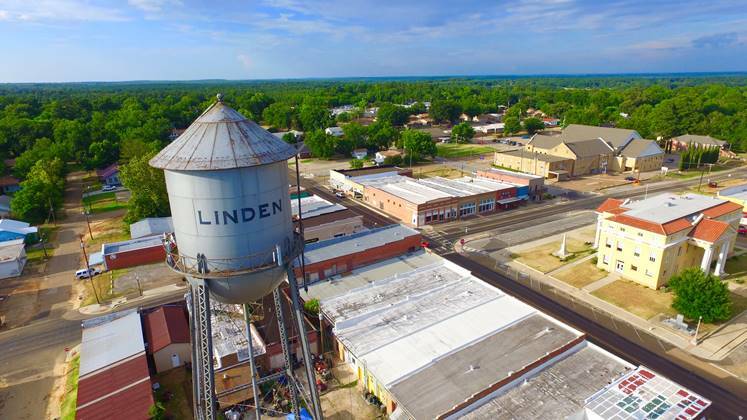 We need to keep it going and help preserve its character and landmarks (water tower, fire station, etc) for the town and the people there, the state of Texas, and for ourselves, even if we’re not Texans/Lindenites. We’re Americans, and it’s part of our country and heritage. Thinking maybe a classic rock n roll festival held in Linden with Texas tribute artist with proceeds going to save the water tower. What are your thoughts on this. I know a lot of tribute bands that might be willing to help out. Isn’t their a theater that could handle something like this? Not on only would it raise money for the water tower but it would also bring money to the local businesses. A benefit concert would be wonderful when we have the resources to support such an event. It goes on the list for the future.